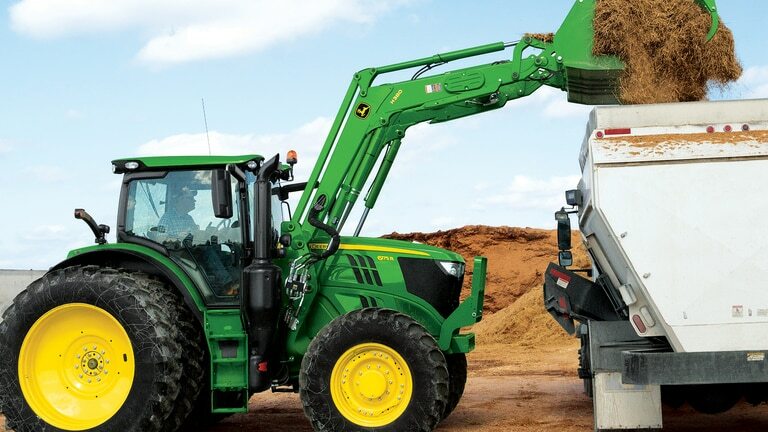 Fast bucket cycle times are important to dump the load from the bucket as quickly as possible, (quite often) in order to be as productive as possible, while completing loading operations. 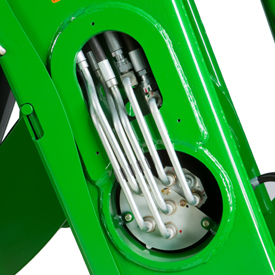 The bucket cylinder design can have a major impact on this cycle time, especially for the mechanical self-leveling loaders. 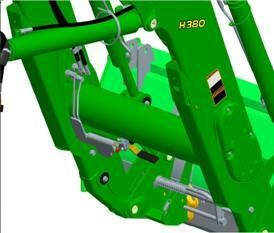 Therefore, all MSL H-Series Loaders utilize false rod bucket cylinders. 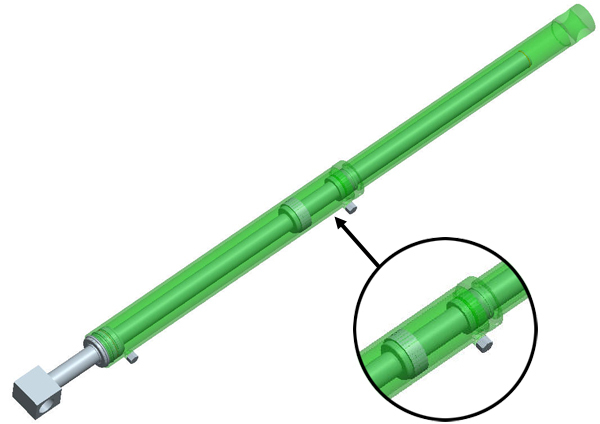 A false rod cylinder has a smaller displacement of oil requirement on the head end of the cylinder, which allows this cylinder to dump much faster than a normal cylinder. 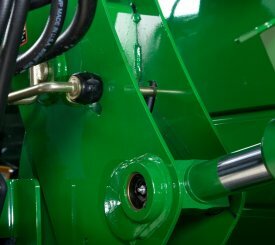 A hydraulic shut-off valve is included with the H-Series Ag Loaders to ensure the loader does not lower suddenly. 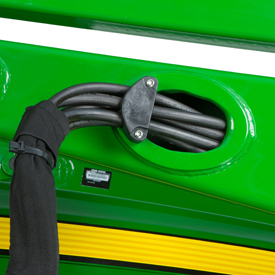 For example, this allows the boom to be locked out when someone is required to be located under the loader boom for service work on the tractor. It should not be used for extended periods of time unless an appropriate support stand is also utilized. 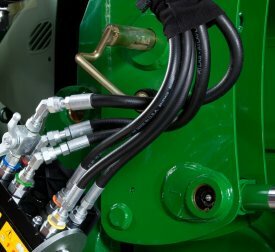 Over time, increased width in tractor hoods have caused issues with available space for running traditional oil lines of a loader along the boom, making them more susceptible to damage. 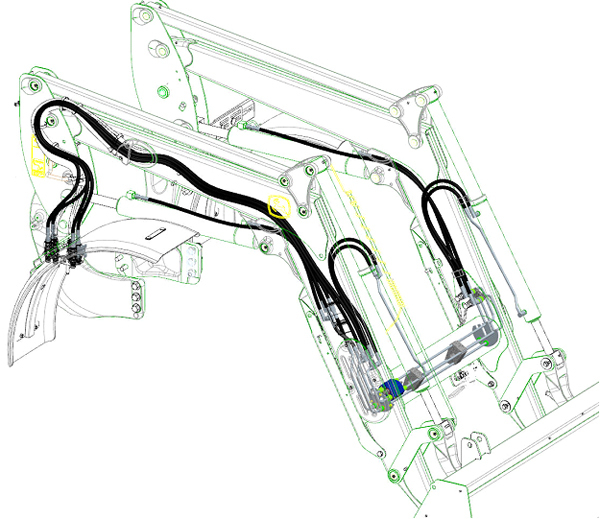 To improve this situation, the oil lines have been routed through the boom arm and the torque tube, improving line protection and the appearance of the loader. 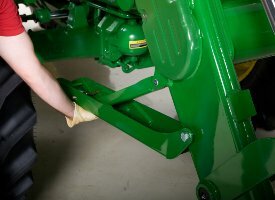 John Deere loaders are easily removed and reinstalled on tractors without tools. 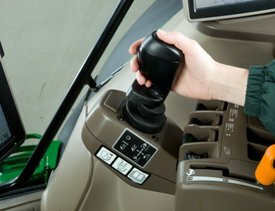 The parking system allows removing or attaching the loader to the tractor in minutes without the need for tools. 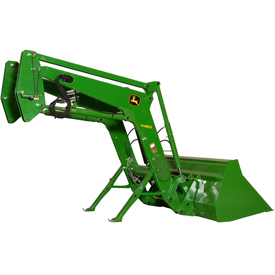 To remove or park the loader, apply slight down pressure to the loader boom with the bucket dumped at approximately a 30-degree angle. 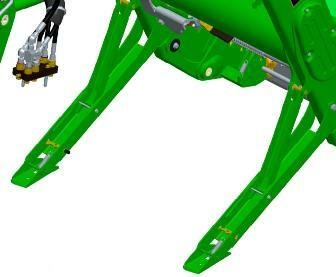 With the tractor in park, install the parking stands and place the mast pins in the open position. 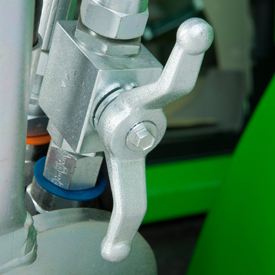 Utilizing the boom circuit with the tractor in neutral, rotate the mast forward until the mast has rotated past the pin location on the mounting frame by extending the lift cylinder. 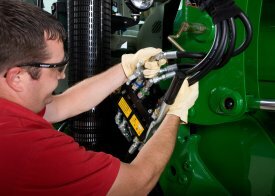 Now using the bucket circuit, roll back the bucket until the mast is removed from the pocket and will clear the tires. 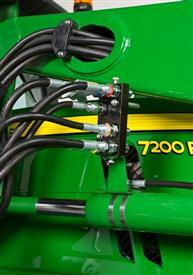 With the tractor in park, shut the engine off and relieve the hydraulic pressure as indicated for the tractor. 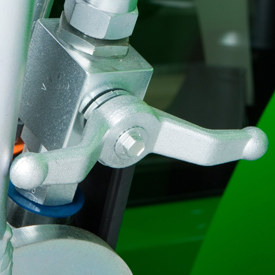 Relieve pressure on the single-point hydraulic connection, then disconnect or open the single-point hydraulic connector. Store the loader half of the single-point connector. The tractor is now ready to back away from the loader. 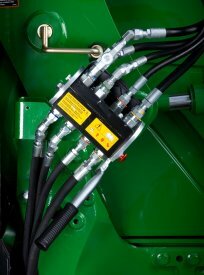 The H380 Loader features a single-point hydraulic connection that also incorporates the connection point for any electrical needs in base machine. 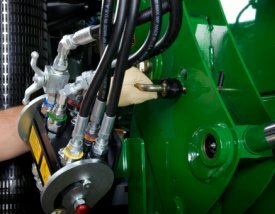 To disconnect the hydraulic connection between the loader and the tractor, it is necessary to relieve the hydraulic system oil pressure on the tractor. Global Heavy-Duty Bucket 96 in.